I am very sorry to all readers that I was ignored this blog update again for over one month long. Now already end of March and I just update for it. Recently this blog is halfway dead and no visitors at all. 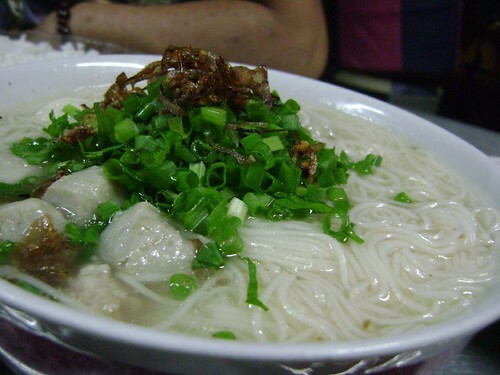 Today what I want to introduce to you is my grandmum homemade Mee Sua Soup which I ate when I having dinner last week. It's a good taste and the delicious soup. The Mee Sua not the local buy mee sua, it's from Thailand actually. -) My grandma cooked it with big quatities of ingredients and fulfilled our dinner. Can you see how big is the bowl and the soup is full on top of the bowl! Do you want to try it? Hahax. You can come my house one day and I call my grandma to cook it and let you try. XD!